DUBAI, 3rd November, 2018 (WAM) -- The Abdulla Al Ghurair Foundation for Education, AGFE, has announced the launch of a new programme to empower Emirati youth aged between 15 and 25 years old to make successful transitions from school to university and from university to the job market. 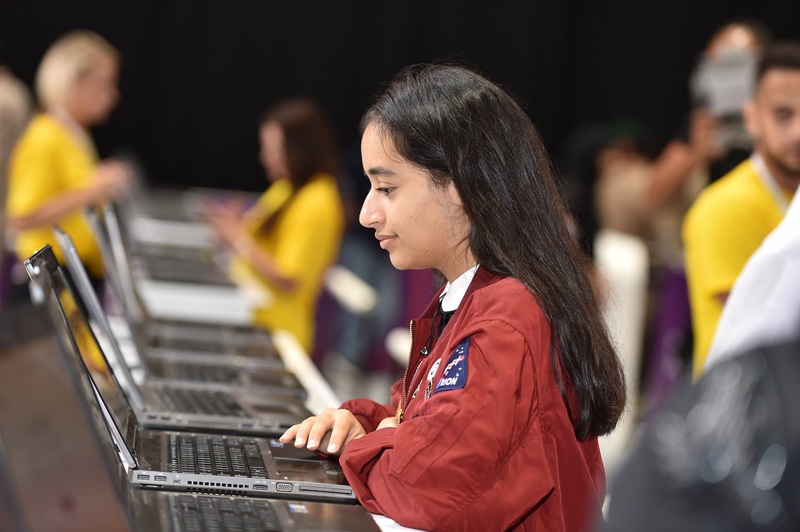 Al Ghurair Young Thinkers Programme, YTP, is the first technology-based solution in the Arab world to help young Emiratis prepare for university and jobs of the future. According to a press statement, the programme helps young Emiratis gain awareness about future industries and job markets, as well as develop the necessary skills required by top employers. It is fully funded by the Abdulla Al Ghurair Foundation for Education. The Foundation has been working with experts at Arizona State University for 1.5 years to design and deliver the Young Thinkers Programme to suit the needs of Emirati youth. The programme is offered to the youth on a fully digital, web-based platform, with a mobile app version for Android and iOS that employs gamification techniques to encourage engagement. Commenting on the programme launch, Abdul Aziz Al Ghurair, AGFE Chairman, said, "As part of the Abdulla Al Ghurair Foundation for Education’s initiatives in the UAE, we are committed to offering young Emiratis access to the latest innovations in university- and career-readiness. With education as one of the main priorities in the UAE’s National Agenda, we are confident that the Al Ghurair Young Thinkers Programme will support efforts to build national human capital that is capable of coping with change across different economic sectors, internalising the attitude of competitiveness and success and building the future that the Founding Father of the UAE, late Sheikh Zayed bin Sultan Al Nahyan aspired to." Reiterating that it is essential for all stakeholders to join efforts in supporting a generation of Emiratis equipped for the future with the right skills, Al Ghurair added, "We welcome the close partnership with the Ministry of Human Resources and Emiratisation and hope it will invite new thinking on the innovative possibilities in public and private sector collaboration." The Abdulla Al Ghurair Foundation for Education signed a MoU with the UAE’s Ministry of Human Resources and Emiratisation where the two sides will work together to help support Emirati youth transition from studies to employment. The partnership will also see the organisation of workshops, forums, information sessions, high-level discussions and training courses throughout the country. Nasser bin Thani Al Hamli, Minister of Human Resources and Emiratisation, praised the Abdullah Al Ghurair Foundation for Education’s new programme for Emirati youth and its commitment to developing the skills they need to succeed in the labour market. According to Maysa Jalbout, CEO of the Foundation, the Young Thinkers Programme utilises three primary mechanisms to prepare youth for university and work. These mechanisms include the planning tools introducing students to work trends in the UAE job market, the digital courses to nourish skills necessary for success in a rapidly changing world, and 'Success Advisors' who understand youth needs and aspirations and interact with them to answer any questions they have, she explained. In the first 72 hours of its launch, over 2,000 young Emiratis have registered with the Programme.